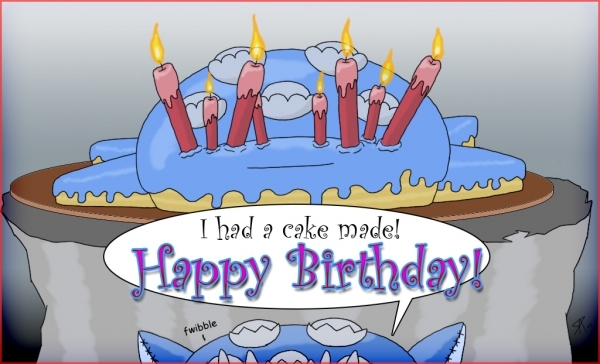 Another digital birthday card. They're actually quite fun to draw and color. This one features that beloved Old God, Yoggy. It was drawn for another Twitter friend, @omgitsafox. She was one of the two more prominent friends that the awkward plush Old God of MADNESS AND INSANITY earned early on.